Welcome to the Diocese of Duluth Archives. The archives exists to collect, organize, preserve and document the history of the Diocese of Duluth and to support the larger Mission of the Catholic church in northeast Minnesota. 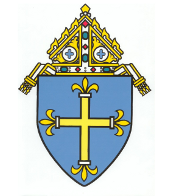 Our main duty is to the Bishop, our Pastoral offices and to our parishes. We welcome inquires for genealogical and historical research in accordance with canon law, civil law and privacy issues. At this time, we do not allow in-person, on-site research to be done in our Diocesan archives. We try to respond to requests within 2-6 weeks. Some larger research inquiries, may take longer. Note: We are a small diocese and have very little dedicated archive time. Sacramental certificates would have to be requested from the parishes that hold the sacramental record book. The Diocesan copies only go back to 1938. They are not issued for the purpose of genealogical research. The person requesting must be an authorized recipient. Research is free for the Bishop, our Pastoral offices and to our parishes (their own parish history). There is also no fee for individuals and tribunals seeking personal records for sacramental purposes.